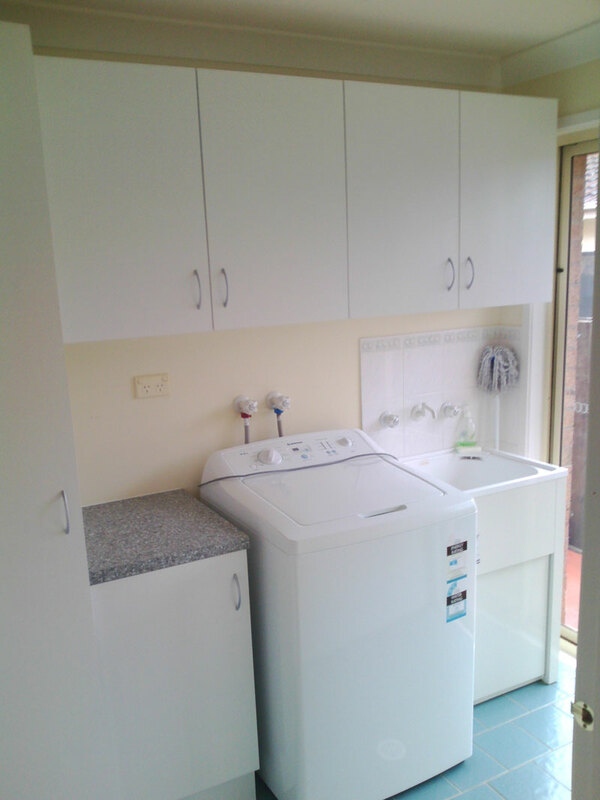 Affordable Kitchen Renovations – Make Your New kitchen Affordable…………. 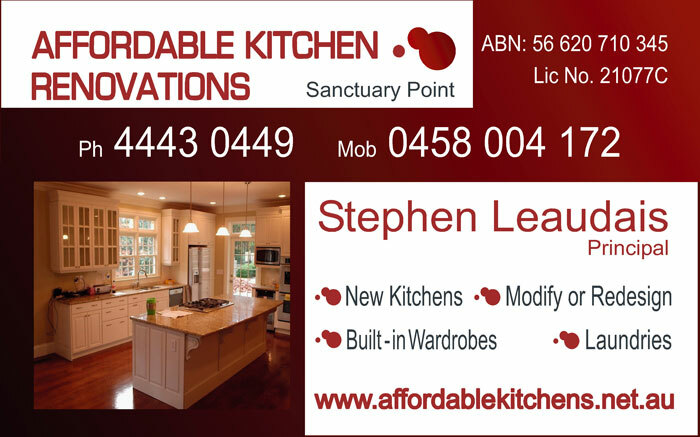 Make Your New kitchen Affordable…………. Welcome to Affordable Kitchen Renovations. 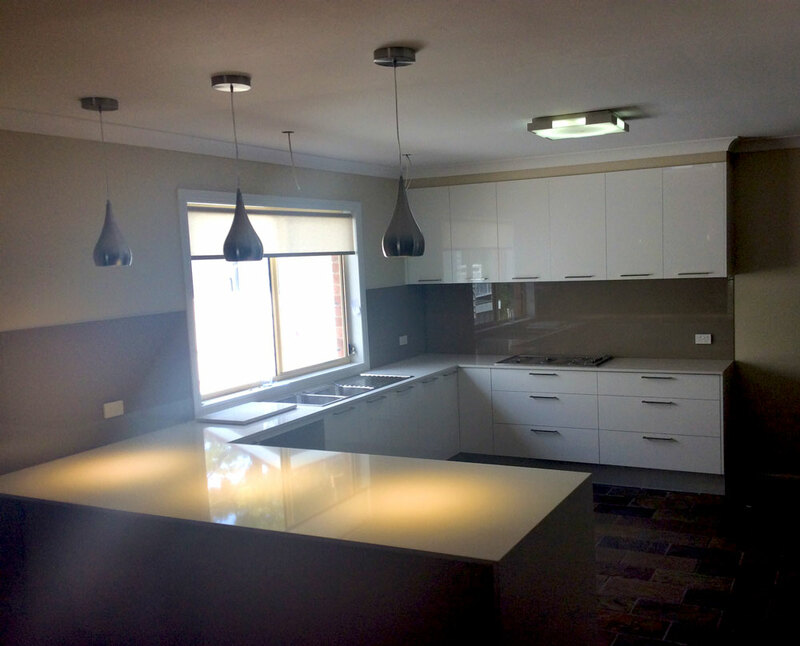 We can provide you with your new dream kitchen custom made to your design and requirements. 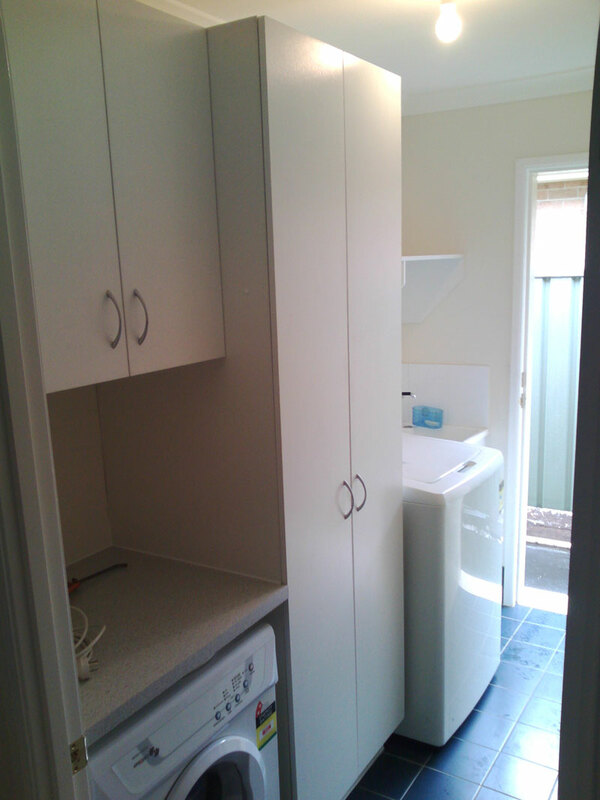 New Kitchens in any layout you can think of! 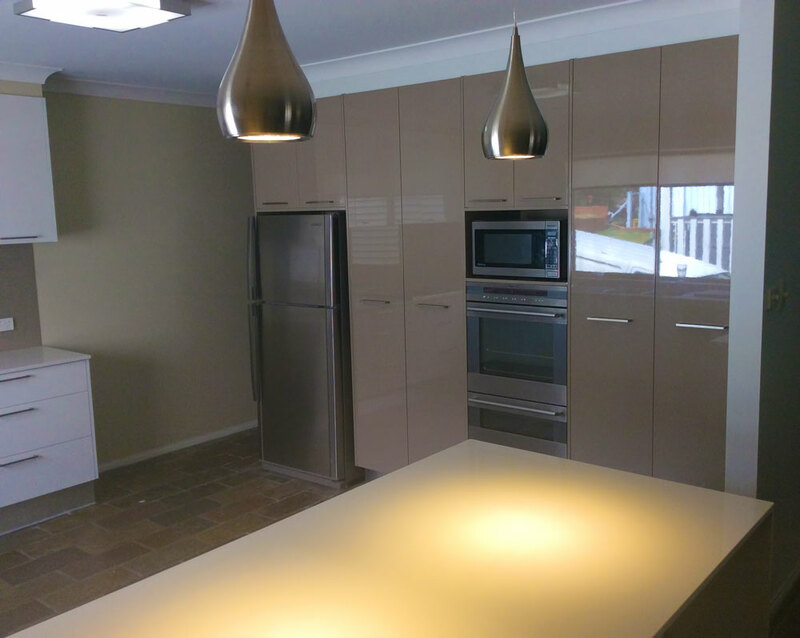 All work is installed by licensed tradesman and have been installing kitchens for the general public in the Shoal Haven since 2002. 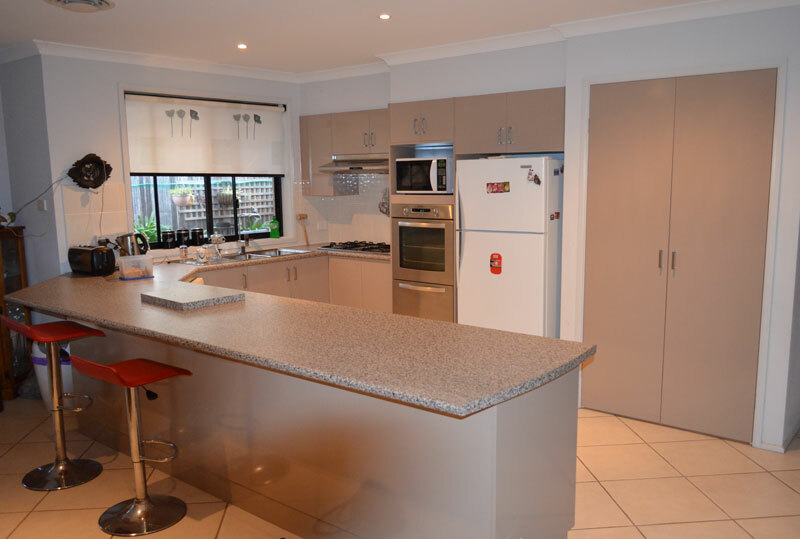 For a fast & reliable quotation servicing the Shoal Haven region from Berry to Bawley Point and Kiola, let us know your details using the quotation form on the “Request a Quotation” link on the above main menu. 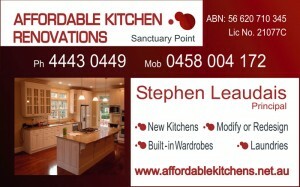 Would just like to say a big thanks to Steve for his great work. 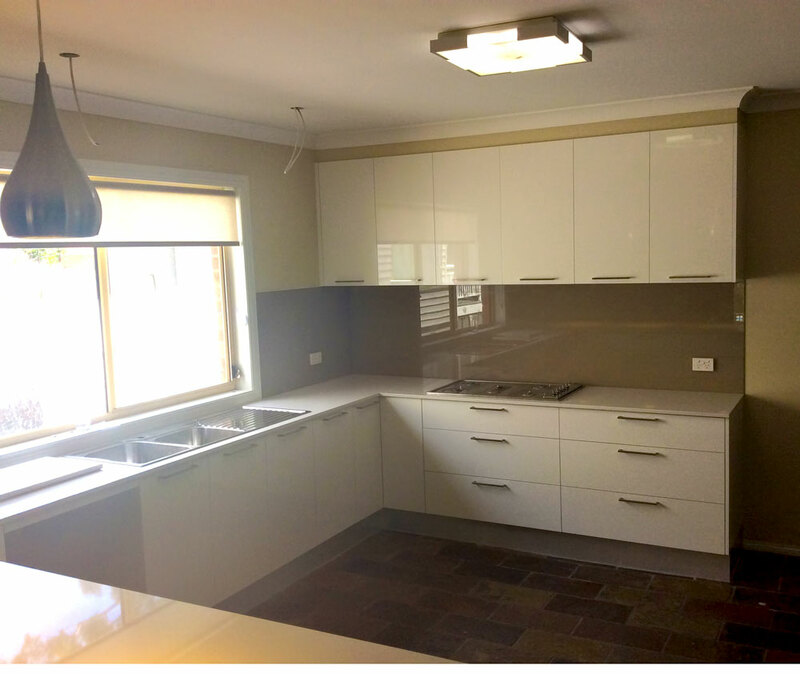 I started with a disaster kitchen, and in just a couple of weeks I hand the kitchen I always wanted. 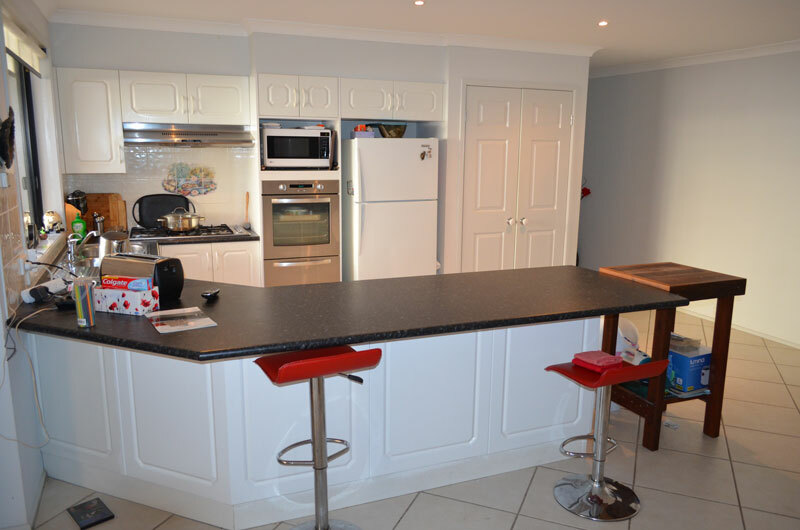 I just love the stone bench tops and the fantastic finish all round. Now I'm no longer embarassed when I have friends over! 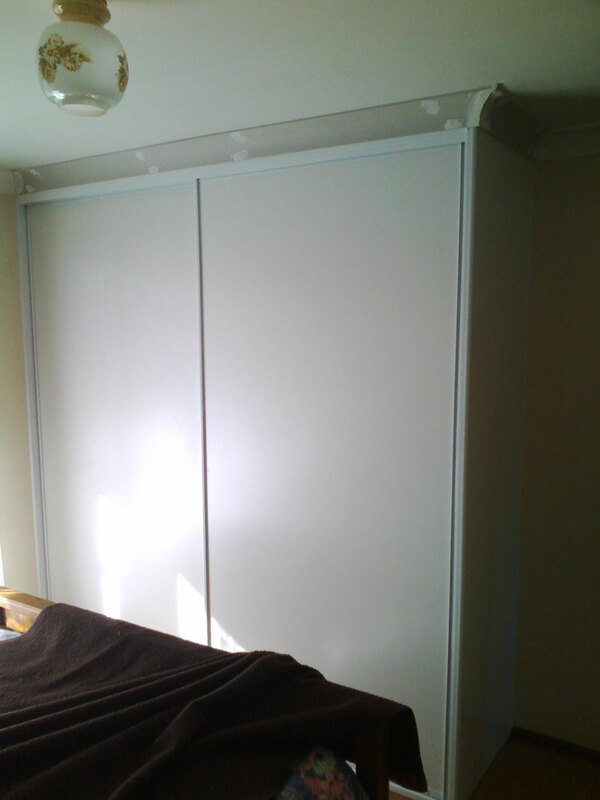 I do not normally leave reviews, but after having our new wardrobes installed, I am just so happy with the results. 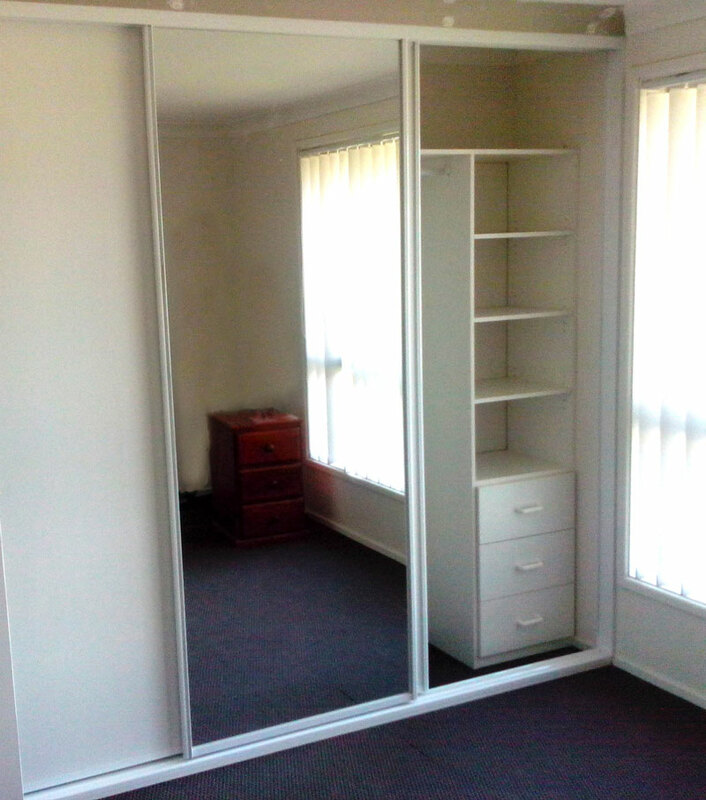 I now even have leftover space that I can still use. 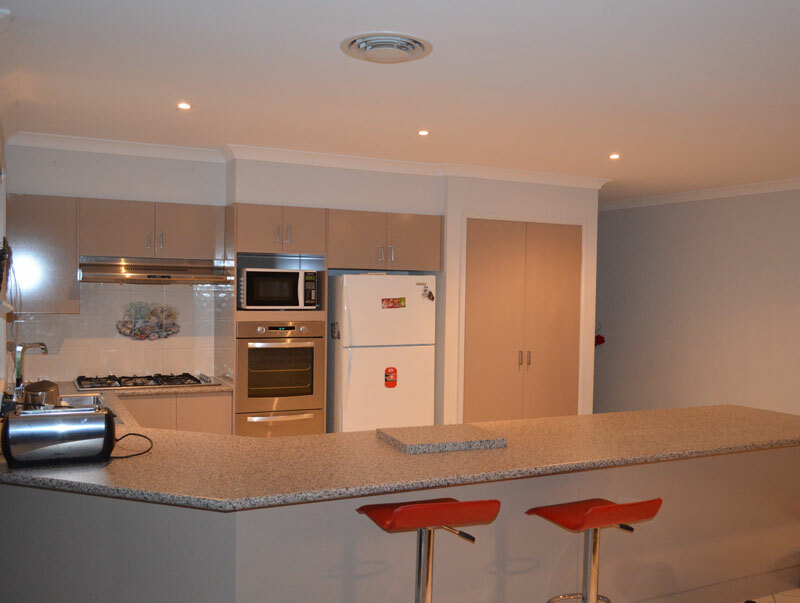 Affordable Kitchen Renovation were professional from start to finish. They provided me with a prompt quote and did the work in the time frame I was promised. Their price was very reasonable and a little better than the other quoted I had from other suppliers. 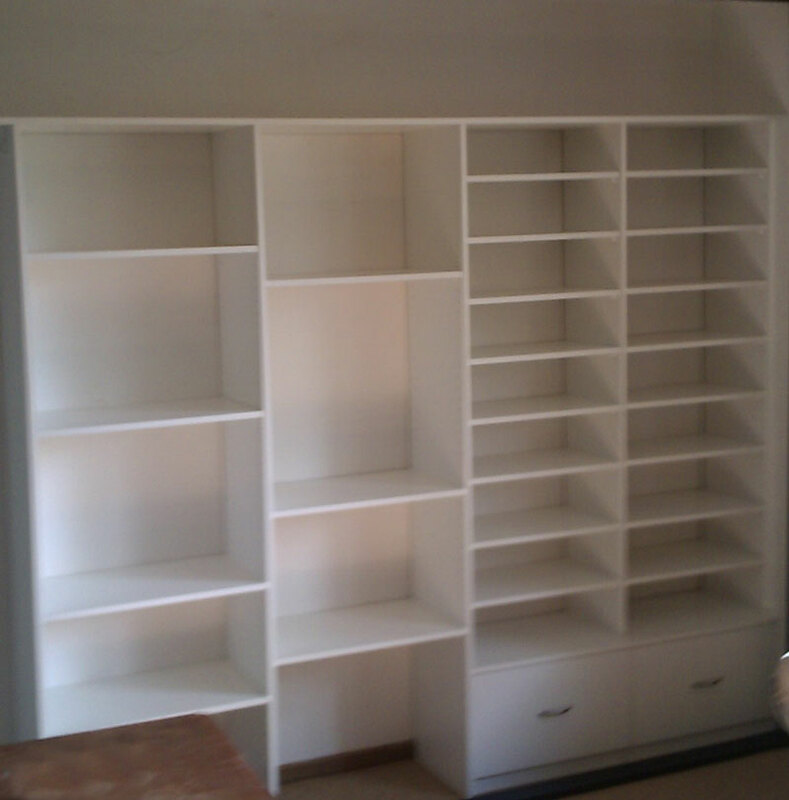 I would recommend them to others for a fast and quality installation. 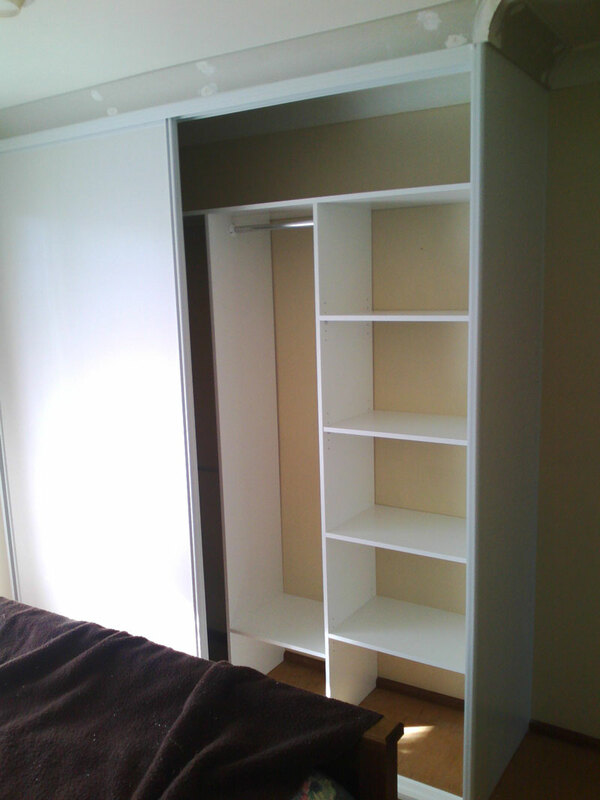 Thank you Steve, a wonderfully 'girlie dream come true' wardrobe and fabulous laundry...now for the new kitchen! 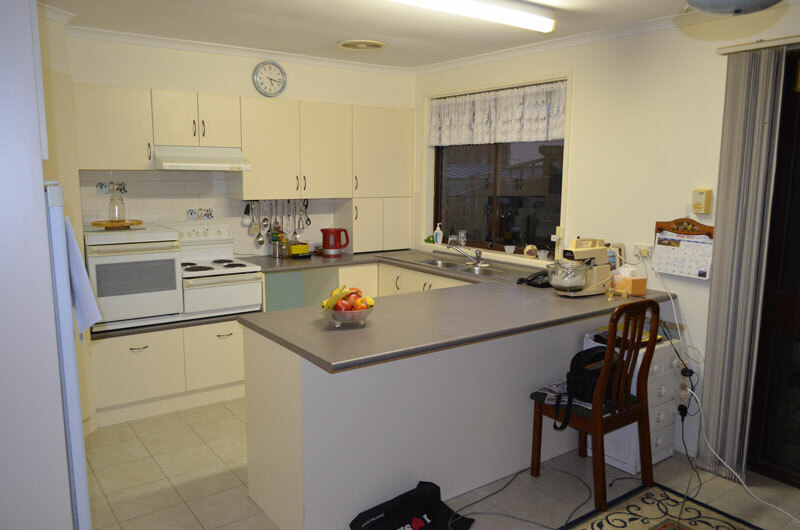 Thanks Steve for the recent refurb / renovation of our kitchen. Attention to detail and finishing to our before Christmas deadline was important to us and we are delighted with the result.